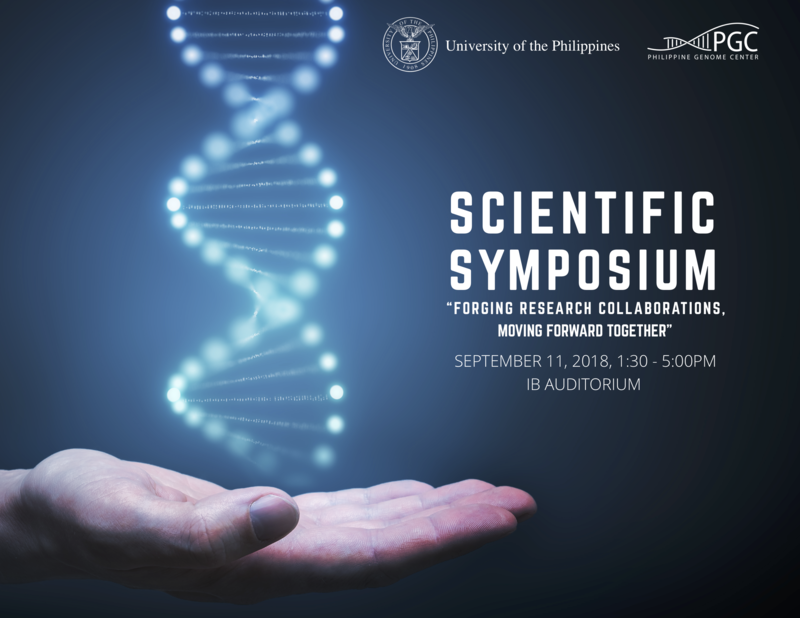 With the opening of the Philippine Genome Center (PGC) in 2012, basic and applied research for health diagnostics, therapeutics, DNA forensics and drug discovery has started to gain momentum in the country. Rafflesia is a genus of holoparasitic plants endemic to Southeast Asia that has lost the ability to undertake photosynthesis. 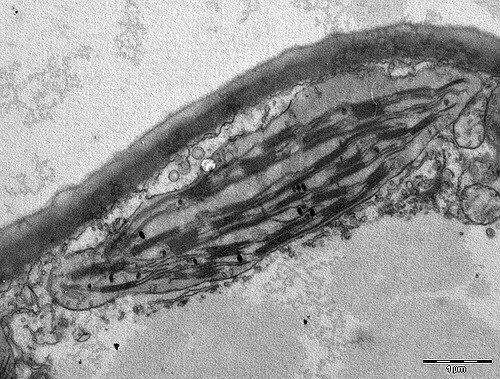 The series of disease outbreaks the country experienced in 2009 such as the A(H1N1) influenza virus, Severe Acute Respiratory Syndrome and dengue has turned out to have a silver lining as they led to the establishment of a state-of-the art facility devoted to genomics and biotechnology on the University of the Philippines (UP) campus in Diliman, Quezon City. 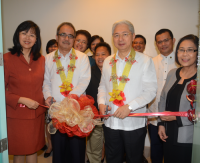 The Philippine Genome Center (PGC) officially opens its DNA Sequencing Core Facility to provide sequencing and genotyping services to academic research groups in the country and to the wider scientific community. Excerpt from the article that came out at GMA News Online on January 28, 2013. What’s your mix? Remember that infamous advertising campaign a few months ago, which raised the ire of the Philippine public? Extolling the virtues of Filipinos who were “mixed” —part-Filipino, part something else— it was really meant to be a celebration of diversity, but many saw it as praising the part-foreign among us. 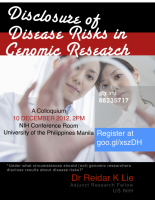 The program on Ethics, Legal and Social Issues of the Philippine Genome Center is inviting interested parties to a colloquium entitled “Disclosure of Disease Risks in Genomic Research” on December 10, 2012, 2pm at NIH Conference Room, University of the Philippines, Manila. 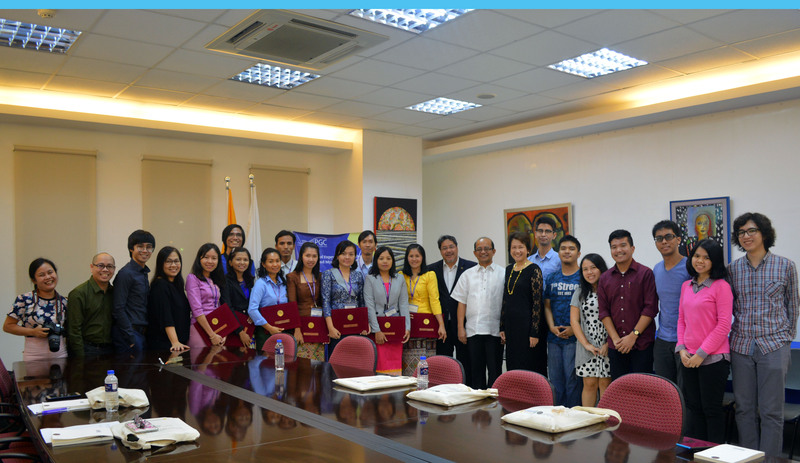 Dr. Maria Corazon de Ungria, director of the Philippine Genome Center’s Forensics and Ethnicity program shared with Ms. Jessica Zafra of InterAksyon.com the significance of DNA tests, and the Innocence Project Philippines.